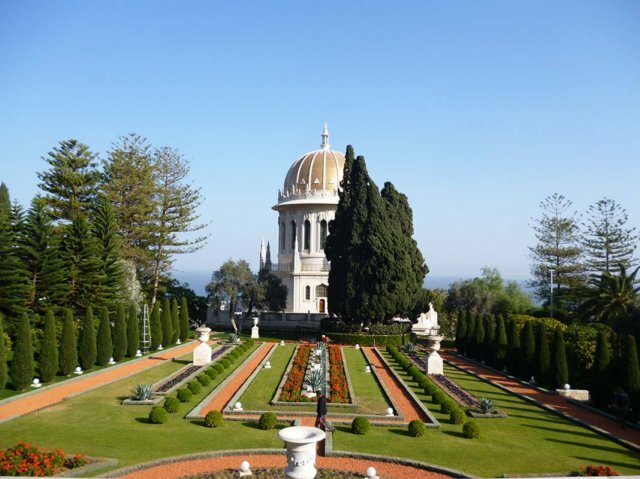 First day of pilgrimage – Shrine of the Báb from the upper Terraces. The large bunch of Cypress trees marks the spot where Bahá’u’lláh pitched His tent and pointed out to Abdu’l Bahá where the Báb should be buried. Abdu’l Bahá is also buried here but this is temporary. Apparently, there will be a Shrine built for Abdu’l Bahá in the future and His remains will be moved there.